I don't blame others for my problems. I stand on my own. And one day you'll see, I'm going to make something of myself. These words were eighteen-year-old Dave Pelzer's declaration of independence to his mother, a woman who had abused him with shocking brutality. But even years after he was rescued, his life remained a continual struggle. Dave felt rootless and awkward, an outcast haunted by memories of his years as the bruised, cowering It locked in his mother's basement. Dave's dramatic reunion with his dying father and the shocking confrontation with his mother led to his ultimate calling: mentor to others struggling with personal hardships. From a difficult marriage to the birth of his son, from an unfulfilling career to an enduring friendship, Dave was finally able to break the chains of his past, learning to trust, to love, and to live. 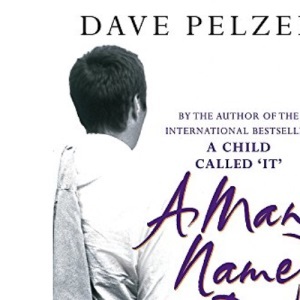 A Man Named Dave is the conclusion to Dave Pelzer's trilogy of memoirs, the first two volumes of which were A Child Called 'It' and The Lost Boy . From childhood, Dave was brutally beaten and starved by his emotionally unstable, alcoholic mother, a mother who played tortuous, unpredictable games with her son's life; games his father chose to ignore and which the outside world knew nothing about. With extraordinary generosity of spirit, Dave takes us on his journey confronting his past. In a dramatic reunion he confronts his father and ultimately the mother who so brutally abused him. Finally Dave finds the courage to break the chains of the past and learn to love, trust and live for the future. Book Overview: The concluding volume of Dave Pelzer's million-copy bestselling memoir.